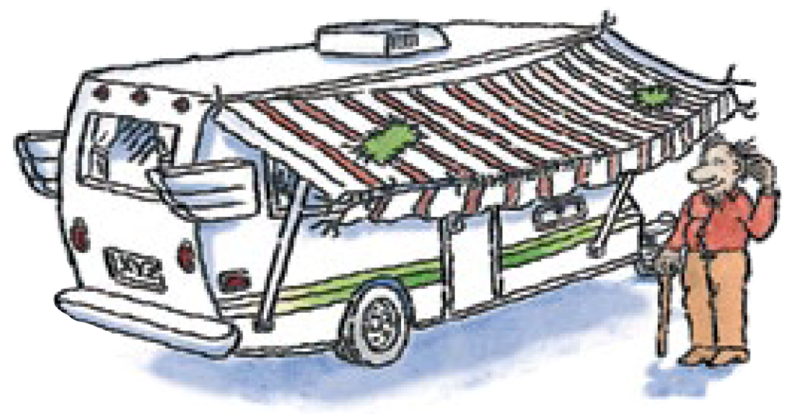 RV awnings can be one of the most useful accessories out there when it comes to recreational vehicles; they can provide shelter from the rain or wind, and they often work as a lifesaver when you’re in need of a break from the overbearing sun. 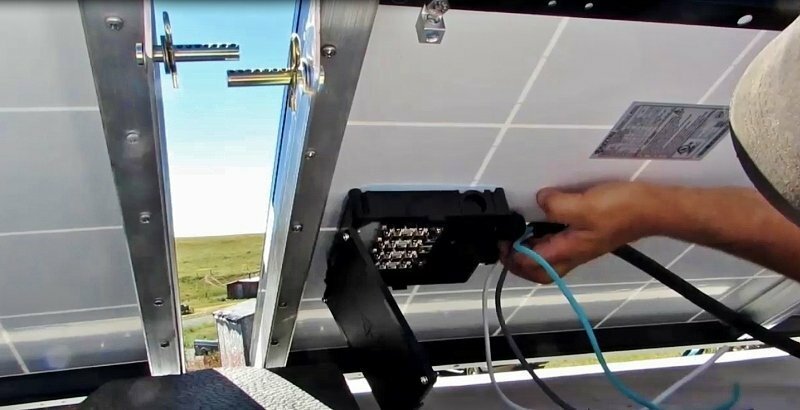 Keeping your RV awning maintained is crucial to preserving its lifespan, but as with most attachments, eventually it might just need to be replaced. If you cannot get the awning to close with the hand crank or normal closing procedures, then this is a good sign that your awning needs to be replaced. 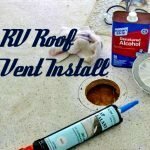 RV awnings that are in top condition should open and close smoothly and easily, so look into a new one if you’re having to aggressively shove your awning into place. You always want to periodically take notice of how your fabric is holding up throughout your adventures. If you look over your awning fabric and are bombarded with the sight of goopy mildew, off-putting rot, unattractive brown spots, or if your fabric is torn, ripped, flaky, or frayed, it’s best not to avoid this issue. This might not always mean that your entire awning needs to be replaced, but it certainly means that your canopy fabric does. 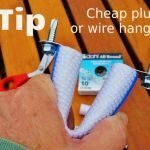 It is wise if you decide to replace your fabric that you do a thorough evaluation of the hardware on the awning as well to ensure it is not damaged along with the fabric. 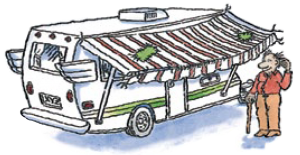 If you cannot get the awning to adjust the pitch easily or at all, or your arms are not sliding properly into their channels (or not sliding at all), this is a sign it is time to replace your awning, as this can cause further damage to both the awning and the RV. Additionally, this can also cause injury if the awning is opened while damaged. 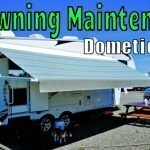 Any visible damage, such as dents, bends, etc., to any part of the RV awning hardware is a major clue that it is time to look into getting a new one. This structural weakness can cause bending or breaking while the awning is open. 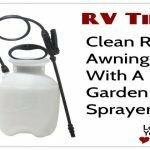 This can cause further damage to the RV or even injure those using it for shade, so take proper precaution and don’t write the damage off as a minor issue. 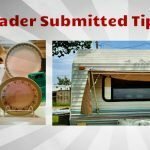 Hopefully, these tips will help you decide whether or not it’s safe and advantageous to stick with your current awning or if you’d be better off investing in a new one. 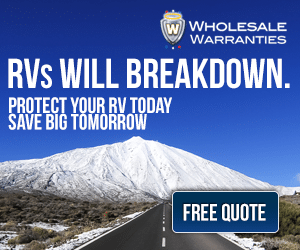 Keeping your RV in premium condition is the best way to ensure relaxing, carefree travels and happy memories on the road, so remember, when it doubt, switch it out! 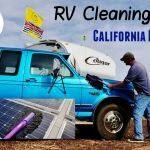 Thanks to Love Your RV! 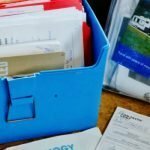 reader Darla for these tips.